For Art of the Week this week I have chosen a sold painting ‘The Flowers Talk at Night.’ It is 12×12 inches and painted on canvas. This particular painting was not textured with paper, only the flowers were textured using modelling paste. I had not had this painting a week before it was snapped up and sold for a present for Christmas. I was glad that people saw my artwork good enough to give as gifts, and the person who received the painting was very happy with it! It was a different design and style that I had tried just before the New Year and many people on my Facebook page loved it . 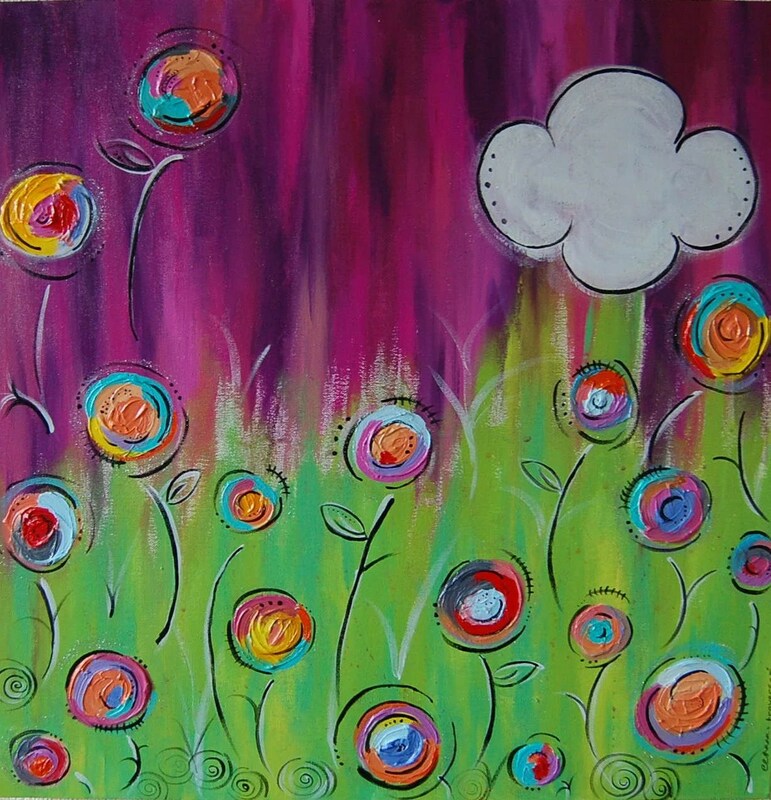 I also sold a similar piece through ArtGallery.co.uk that I did in the same week! It’s a technique and style I hope to improve and use for future paintings to come. I have a couple called Midnight Blooms and Pretty Pink Haze that are similar. 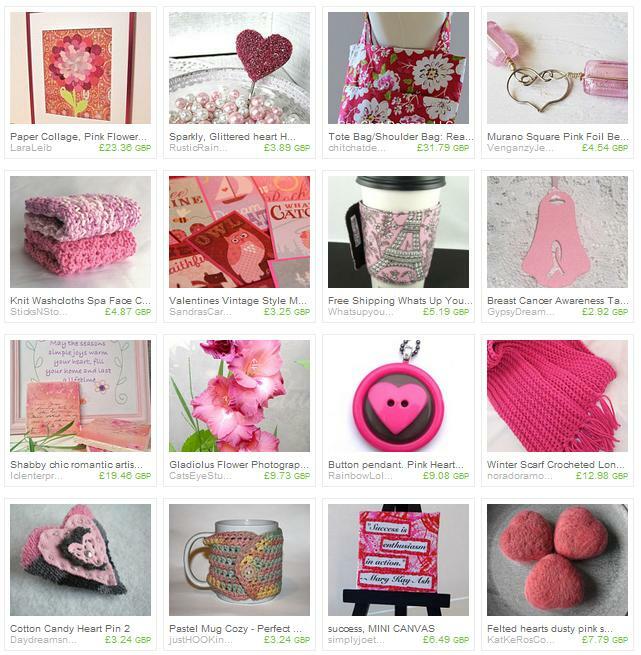 Today’s treasury was inspired by one of my own original canvas paintings called ‘Pretty Pink Haze.’ I wanted to do yet another colourful treasury, and include all items from the Promote Creative Friends team again. My personal favourite item out of all these ones are the Valentines vintage mini cards by SandrasCardShop.